If the officer does not ask for consent to field sobriety testing, the State will attempt to justify the administration of the field sobriety tests under another legal theory – probable cause and exigent circumstances. 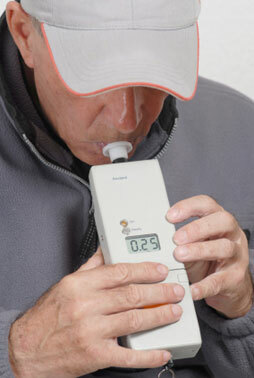 Because blood alcohol concentration dissipates over time, a person’s blood alcohol concentration is considered an “exigency” or an “exigent circumstance.” In other words, a police officer must act swiftly in order to preserve the evidence of blood alcohol concentration. Consequently, if a police officer has probable cause to arrest an individual for DUII, then he may administer field sobriety testing without voluntary consent. There are only 3 "standardized" field sobriety tests that are commonly given by law enforcement in Oregon. These are the Horizontal Gaze Nystagmus, Walk and Turn, and 1 Leg Stand. Horizontal Gaze Nystagmus, or HGN as it is commonly called, is considered by law enforcement to be the most reliable. The officer is trained to look for nystagmus (an involuntary jerking of the eye) in each eye when the person follows a stimulus (usually a pen) out to their peripheral vision. If observed, the officer says they have a "clue." The officer then looks for nystagmus at maximum deviation (eyes looking all the way to the side) and also for nystagmus prior to 45 degrees. Also known as the Heel to Toe test. The officer requests the subject walk 9 steps out, make a specific turn and walk 9 steps back. There are 8 clues on this test, and if you have 2 clues, you are deemed to have failed the test. In other words, if you start before the officer says "begin" and you dont touch your heel to your toe on a step, the officer will report that you have failed the test. During this test, the subject is asked to stand on one leg for 30 seconds. There are 4 clues possible, 2 being a failure. Remember, performing the FST's is voluntary. You have the right to say "No." If you or someone you know has just been arrested for a possible DUI charge then it is important that you have legal representation to defend your rights as soon as possible. Information about the Field Sobriety Test is provided here only for educational purposes related to DUII laws in Oregon. This information should not be interpreted as legal advice, nor substituted for the specific legal advice of an experienced attorney.